The weather forecast predicts for Saturday morning little wind and light snowfall, at temperatures around minus 25 degrees Celsius. In the afternoon heavier snowfall is expected. Dujmovits is the so far only German who has summited all 14 eight-thousanders. Only on Everest in fall 1992, he had used a breathing mask above the South Col due to bad weather – a fact he is still regretting. 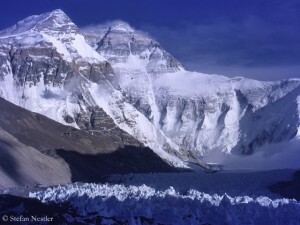 The current Everest attempt without bottled oxygen will be, as Ralf told me before the departure, his “definitely last”. I keep my fingers crossed. 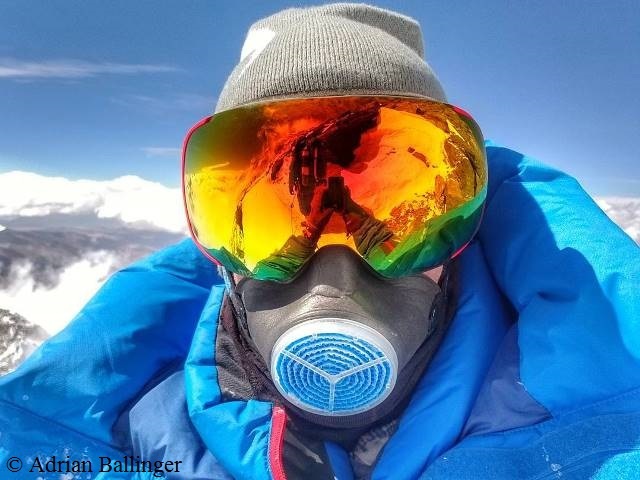 The Americans Adrian Ballinger and Cory Richards also reached Camp 3 on the north side without supplemental oxygen. “It was hard getting here. I’m scared now,” Adrian wrote on Instagram. In the picture he attached, Ballinger is wearing a mask which, in his own words, “warms and moisturizes the air we breathe up here”. 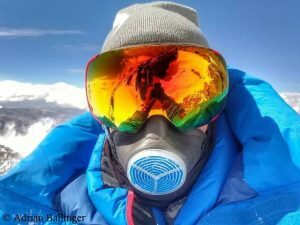 On the south side of Everest too, the summit attempts of climbers, who are not using bottled oxygen, are right on schedule. 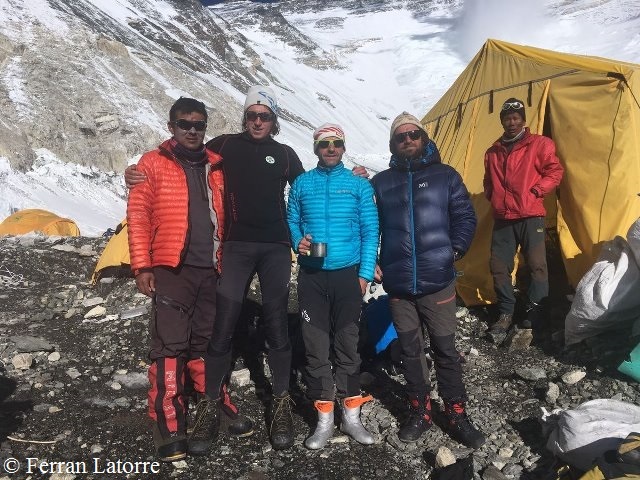 The Spaniard Ferran Latorre, the Frenchman Yannick Graziani and the Austrian Hans Wenzl reached the South Col at 7,950 meters. 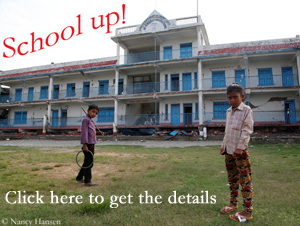 They are accompanied by Sherpa Dawa Sangay. A short video, which Ferran posted on Twitter, shows strong gusts and snowfall. This was also reported by the Frenchwoman Elisabeth Revol, who climbed today from Camp 2 at 6,400 meters up to the South Col. The today still adverse weather conditions stopped the summit attempt of the Hungarian David Klein, who had climbed up – as I was informed only yesterday – from the south side without breathing mask. 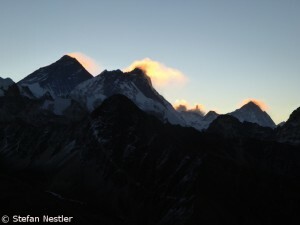 At about 8,100 meters, David and two Sherpas, who should film him, turned around because the wind was too strong. 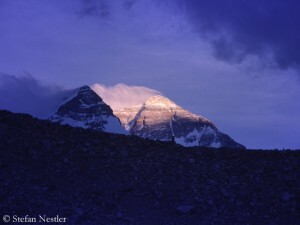 It was David’s ninth Everest attempt without supplemental oxygen. In his most successful one in 2014, the Hungarian had reached an altitude of 8,650 meters on the north side. Even though a few commercial teams are still on the mountain, the Nepalese authorities have already drawn a first balance of the spring season on Everest. 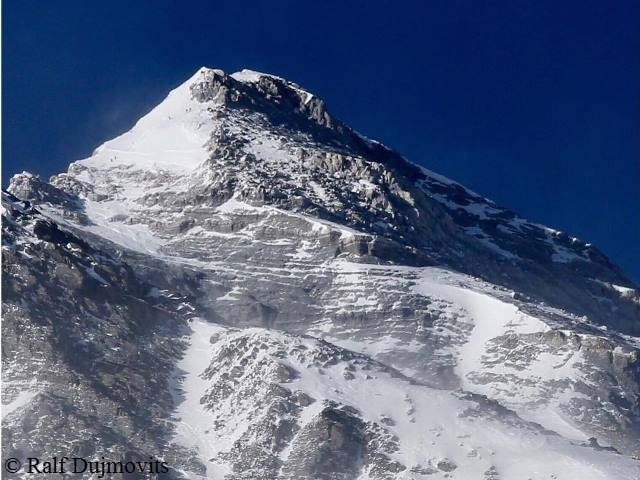 According to the Ministry of Tourism in Kathmandu, more than 450 people, ascending from the south, have so far reached the summit, including about 200 foreign climbers from 29 countries.